For the source generated by Hex Ray's decompiler in IDA, is it possible to highlight matching braces once I place the pointer at the beginning of a block? As an example, in the screenshot below, the if block begins at line# 263 and ends at line# 269. 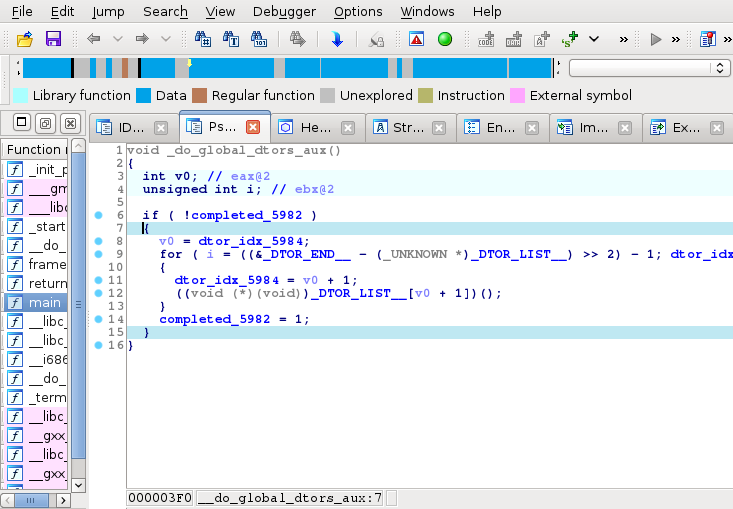 What I want is, if I place the cursor at line# 263, IDA should highlight the block end at line# 269. Is such a feature available? Many code editors provides similar feature to make code browsing easier for larger blocks of code. There is no way to do this by default. Checkout the Hexlight plugin by Milan Bohacek. It will highlight the line with the matching brace. Not the answer you're looking for? Browse other questions tagged ida hexrays or ask your own question.